This monthly on-line publication is written by Rand Sealey, who has 40 years’ experience in the wine trade as the former owner of Esquin Wine Merchants (1969-1997) and as a consultant to that retail store. 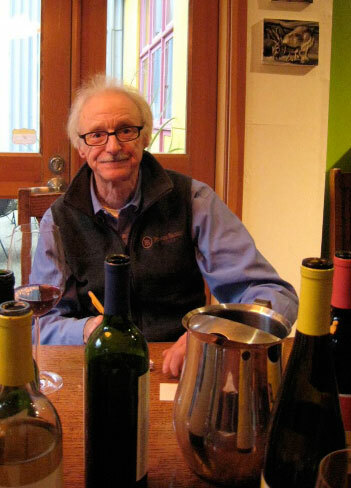 He lives in Walla Walla, his home base for keeping subscribers informed about the latest releases and developments in the rapidly growing Washington wine industry. My rating criteria. While the 100-point scale remains popular, I prefer the 20-point system, which more accurately indicates qualitative ranking than the 100-point one (91 versus 92 or 93 points being highly subjective). Twenty points has served us wine professionals well for decades and still does. It is my policy to include only wines that score 18 points (exceptional) or higher unless they offer high quality/price ratios and thus will be included in the Best Buys section. Tasting standards. Most wines are tasted at the source, and then re-tasted from purchased samples to confirm original impressions and to amplify the nuances. The future of Washington wines. I believe Washington wine has a great future. As vineyards mature, and winemakers continue to hone their skills, the wines will keep getting better. I already have reviewed wines that have scored 19.5 points or more. I will be reporting on more high scoring wines in upcoming issues. To see a sample issue, click here. For the maximum benefits, sign up for a Full Subscription. To get access to our Review of Washington Wines archive of issues from December 2008 to now, you should sign up for a Full Subscription (only $20 per year). This is an invaluable resource for reviews of over 700 wines, many of them rated 18.5 points (outstanding) or higher. The Full Subscription also gives you the benefit of receiving email notifications whenever a new issue goes on line and of weekly posts of the Review Blog. With the Regular Subscription (only $10 per year) you will get the archive access without the posting notifications. The Basic Subscription gives you access to each issue on a month-to-month basis without the archive of previous issues.